After 1999 there is never forgiveness. After 1968 there is never forgiveness. And my Dad wasn’t happy in 1947 or with Harry Caspar in 1951. In 1968 we were lucky to be close. It was only because we kicked straight and they didn’t that we were. They were a better side than us that year. Can’t say much about 1947 and 1951. Was one of those the one where we had baked the premiership cake? Serves us right. Are these “rules” for everyone, or just for the brown-paper bag, “blue juice for East German athletes”, salary-cap breaching, rule breaking, AFL perverting FCFC that we have all come to know and despise? What about the push in the back to Alan Noonan in the dying minutes? And why didn’t Geoff Blethyn pass it in the dying minutes? We could have won it. In his defence, Geoff Blethyn was inexperienced and rushed into the team to cover for Ken Fraser, acknowledged then and since as a Champion of Essendon. That push in the back to Alan Noonan that was not paid effectively lost us that flag. ■■■■■■ maggots. They also cost us the 1951 flag referred to by AN_10 above when Harry Caspar whacked John Coleman all day with no repercussion from the maggot. But when eventually JC retaliated, he was reported and duly suspended. 1947 was when one of their clowns snapped over his shoulder with 40 seconds to go to win by a point 13.8 to 11.19 (3 goals different from the ‘99 prelim). 1951 was when Coleman was belted from pillar to post by Caspar and retaliated, copping 4weeks and missing the finals. We lost the granny to Geelong by less than 2 goals. And how sweet was it!!! We were 7 goals better than them that year…just that the only time we proved it was in the Granny. Not good news for FC if this opinion from TwinBrad turns out to be a fact. 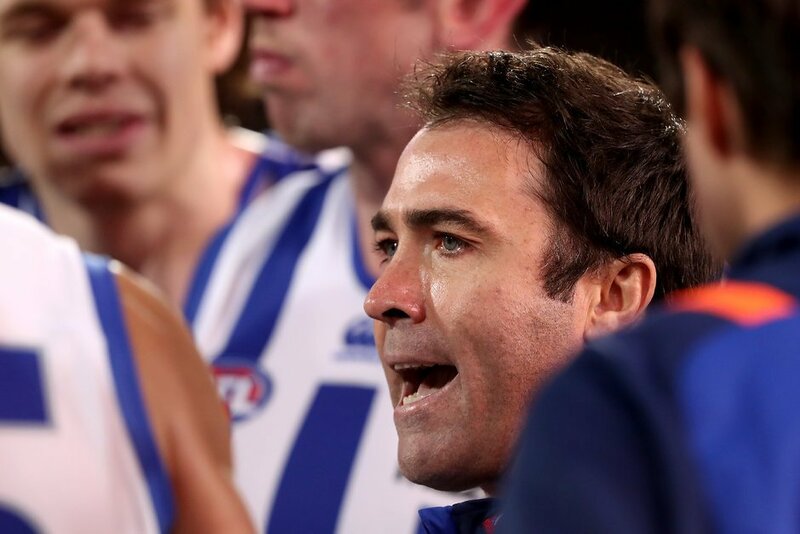 THIS season’s rule changes will see struggling teams “hammered” more often as they’ll have “fewer weapons” to stop opposition run-ons, North Melbourne coach and Competition Committee member Brad Scott says. At kick-ins, the man on the mark will be pushed back an extra five metres, and players will be able to play on from the goalsquare without first kicking the ball to themselves. 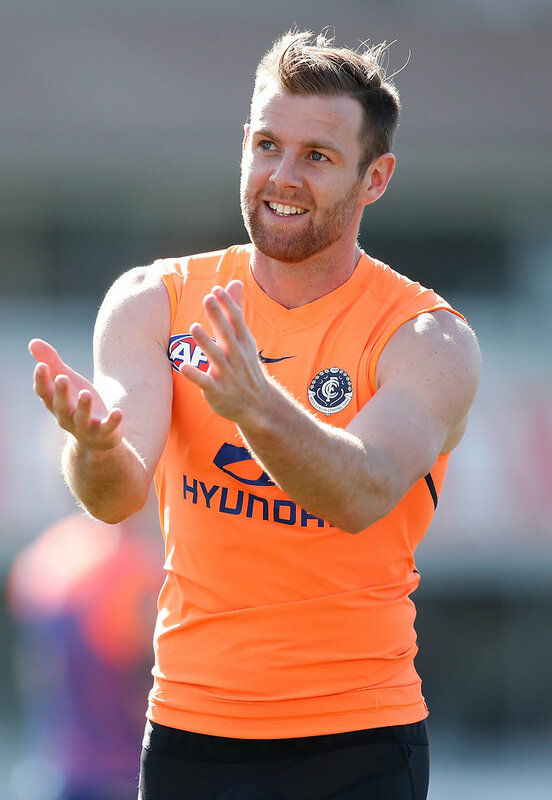 Scott told AFL.com.au the extent to which the rule changes would affect play this season remained unclear, but said North’s pre-season match simulation sessions strongly suggested the competition’s bottom teams would be more vulnerable. Are North getting thrashed in their match simulation sessions? Even though I agree the bottom teams are more likely to cop a hiding they can still start there wingers behind the square. Where I think bottom teams and inexperienced teams will crumble is the removal of the runner. Relying on inexperienced players to deliver messages off the bench will eventually lead to giving up goals even if they go into a fully defensive mode. Wait for the AFL spin of “scoring was up in 2019”. Meanwhile Carlton and GC record sub-30 perecentages at the end of the season. who didnt love that 94 point first quarter against the suns. So we will see a lot more wingless flies walking around this season?